It’s Kerstmasvakantie and we’re making things as usual. 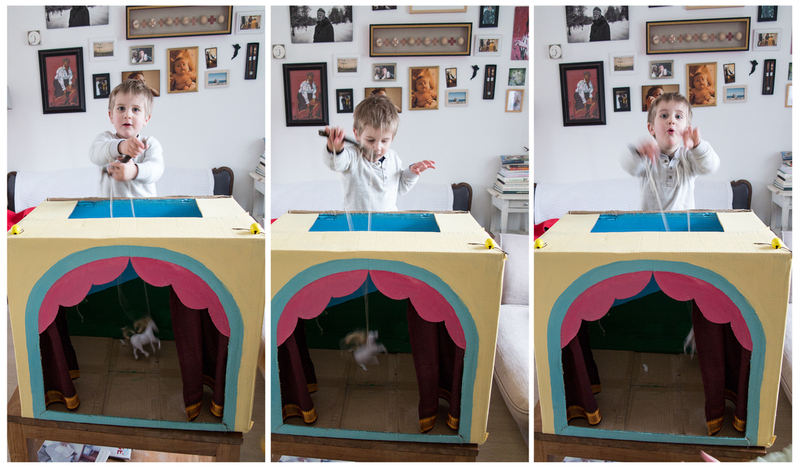 This week we’ve been working on a Puppet Theatre, Marionette style! The idea is to hang the actors in threads from the top of the theatre, where we’ve left a hole (knowing my daughter right now, I’m guessing princesses, dragons and horses… ). As we live in Brussels, I wanted to make something in Art Nouveau style, so the theatre will be painted in yellow, blue and pink pastels, with a heavy curtain in deep red, hanging on a pole, just under the roof. 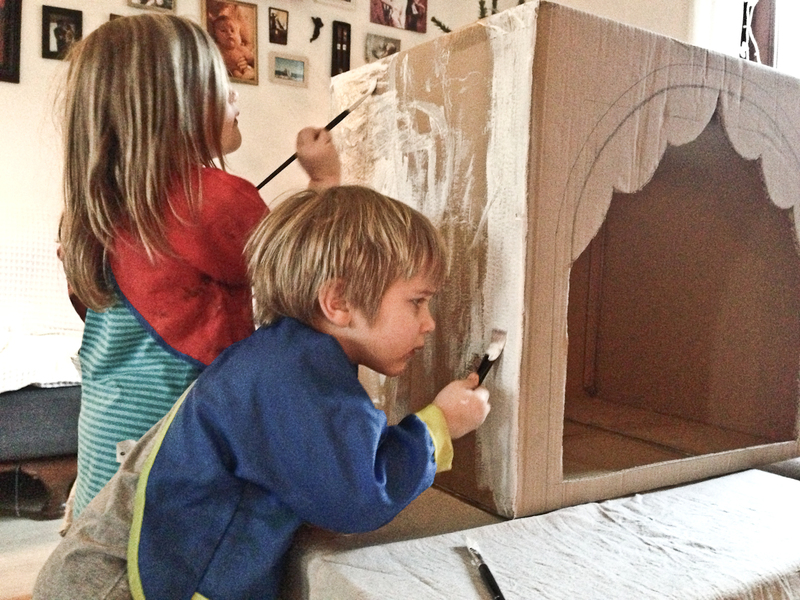 As you can see, we used a pretty big cardboard box, sort of moving box size, taped the edges and folds together, glued them down with a glue gun, left a hole up in the “roof” (for the actors) and drew out the details in pencil. When we were happy, I cut it out! 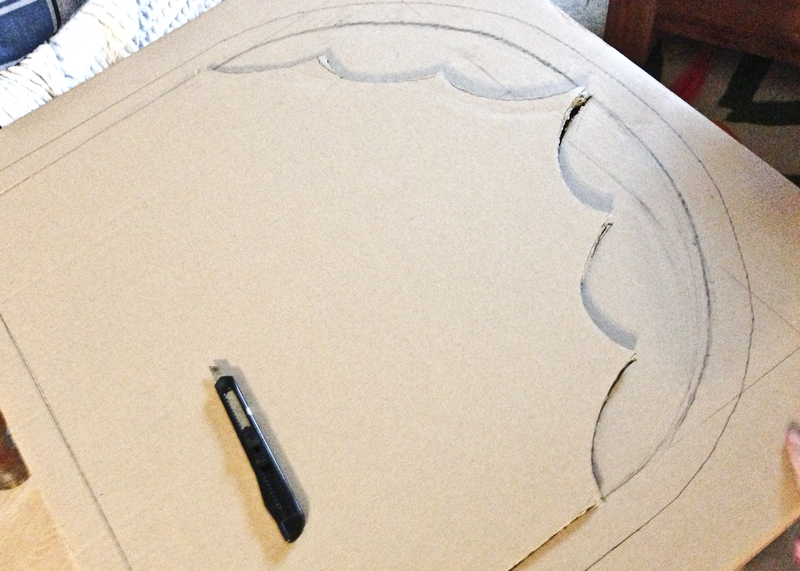 I cut the stage opening pretty deep, close to the floor (or the table, where it will most likely be played), but I saved 2 cm to be able to lay down a sturdy wood plate, which we will paint in black to make the theatre real. 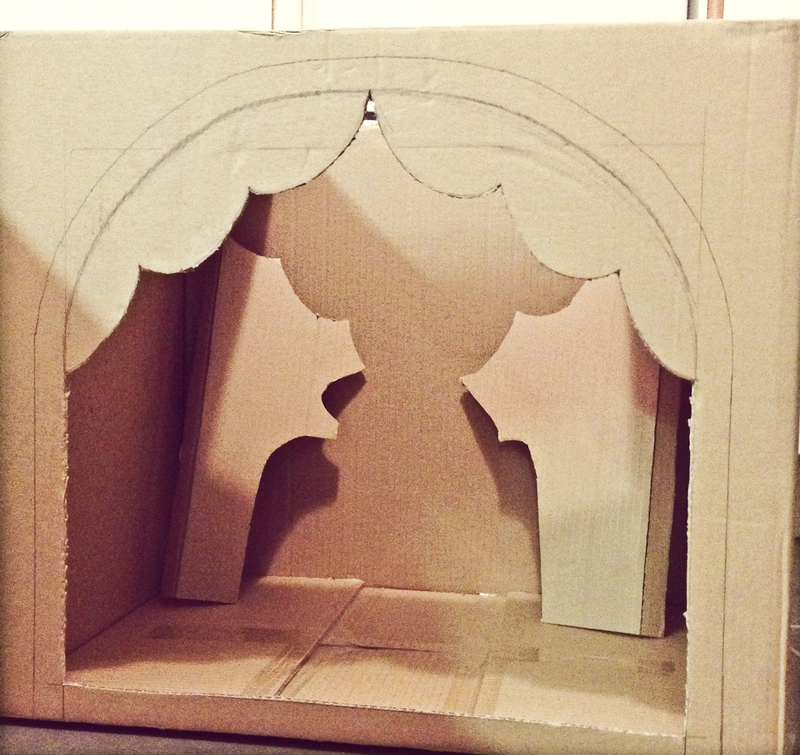 I saved the curtain cut out for fake stage trees. We will glue them to the wall and the actors can change behind them and wait for their turn. Next article What is the grain line?